So after seeing how excited Jacinda (The Reading Housewives of Indiana) and April (Good Books and Good Wine) were on Twitter about this #readathon, and seeing how I’ve never done one, I’ve decided to participate!! I’m a very indecisive person when it comes to picking what to read next, so I’ve pulled a few books to choose from. Also, I’m letting Random.org select them for me. That’s right! Numbers 1 through 14…pick one, Random.org! I don’t think I’ll get through all of them, but I have selected some that are not too long because I do want to get through as many of these as possible. As far as snacks go, I plan to eat everything in my apartment until food runs! If in fact I run out of stuff to eat, I’ll send out an S.O.S. As far as UPDATES go, I plan to just come back to this post and update regularly throughout the 24 hours. I yet don’t know how often these will be, we’ll see once it starts! a.) I bite my nails. b.) I like to drink chocolate milk with most meals. c.) I love taking trips with my friends! 3. How many books do you have in your TBR pile for the next 24 hours? 15!! 1 ebook, 14 physical books. 4. Do you have any goals for the read-a-thon (i.e. number of books, number of pages, number of hours, or number of comments on blogs)? 5. If you’re a veteran read-a-thoner, any advice for people doing this for the first time? Newbie here! :D So I’ll take advice! Here I made a sentence out of the title of these books! Mostly this morning, but I finally got focused! good to go a little while longer! Definitely hour 19, which I passed out in the middle of. I really don’t, since it was my first time. 3 full ones, half of one, and a quarter of another. Hooked…I can’t stop thinking about it! Hmm..I enjoyed them all really. Wasn’t a cheerleader, but they were lovely! Oh, I am SO. THERE!! Comments: I keep distracting myself with twitter and other blog posts!! AND I’m getting sleepy…it’s time for coffee. Comments: I’m setting The Iron Knight down for now to change things up and keep things interesting. By that I mean I’m starting a new, shorter book and coming back to The Iron Knight later. Comments: I’m taking a eating break and plan to do some commenting for bit before getting back to reading. UPDATE: Time – 4ish: Listened to about 35mins of my audiobook, Unraveled. Comments: That GN was fun! Now..bring on the ZOMBIES! Comments: So I took a lot of breaks in between the last update and this one. I’m starting to get sleepy now, though, so I I just had a small cup of coffee to hopefully give me a tiny boost. :) Time – 1:20am aka This Girl is Sleeee-PY! Comments: As many methods as I tried to stay awake…I just could not last any longer. KEEP UP THE GOOD WORK, ‘THONERS!! It has been an AWESOME day! See you in six months!! I’m participating tomorrow as a reader and cheerleader. Your stack looks great. I haven’t read The Duff though it’s on my tbr list. Happy reading! Au Revoir, Crazy European Chick is such an awesome name for a book!! I can’t wait to hear what you think of it!! I hope you enjoy your first readathon!! Yay! Welcome to your first readathon! 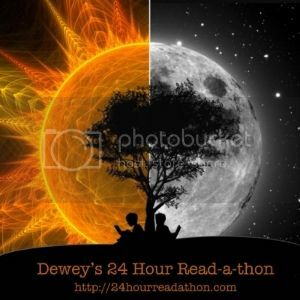 I LOVE them and participate in them all the time, but this is my first Dewey’s 24 Read-a-Thon. I hear it is the best! 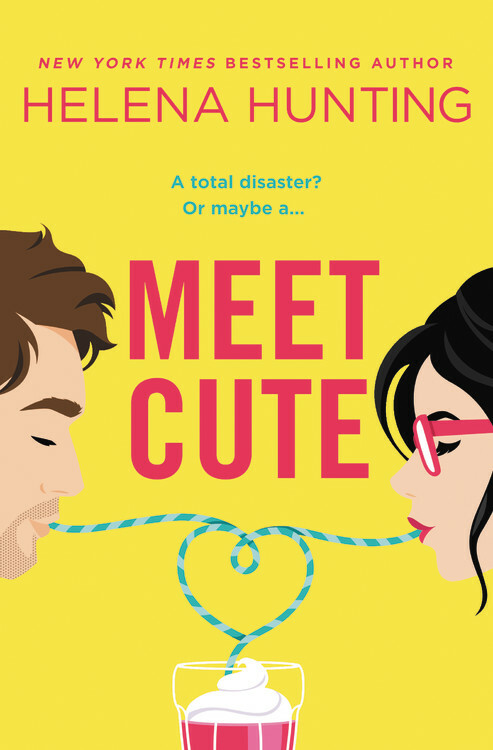 You have some great books picked out (I read Cut and Au Revoir, Crazy European Chick. Quite a few of your other books are on my TBR/Wish list). What a fun way to decide what to read next! I love that idea! I’m in! This is my first readathon, too. I’m excited! Great choices! I’m really excited, and we’ve only got half an hour to go! I haven’t read any of your books but they look good. Have fun reading! Cracking me up. If you keep updating, you won’t get anything read. I have to refuse to pick up my phone during these things or I get nothing accomplished. You go girl!!! PS. I’ve also got Cut on my TBR list. Not for a readathon, though. Hope you are enjoying your first readathon! Happy Reading! I love your book title sentence! Wow, you’re incredibly organized with your updates, etc.! Keep up the great work!! I’m just here to cheer! Great pile of books btw, and I love your random.org idea. Love how you do your updates!! Keep up the awesome work. Happy Reading!! Hang in there, we’re over half way done!!!! Yay!! I’m so glad that you decided to join the readathon! Twitter is very addiction–have to shut it down when I don’t want to be on so I’m not tempted (but then there’s the phone…) LOL! Hope you’ll be back in the spring! Yay! nice list! happy reading! I’m so happy you did this with me! You read more pages than I did! Glad you had fun with your first readathon! Looks like you got a lot of reading in! I loved Au Revoir Crazy European Chick! It would’ve made a good readathon book too, nice and light! You did great! I’m so glad you enjoyed yourself! Enjoy the rest of your weekend!